Moving To Germany Without A Job – Is It Possible? Moving to Germany without a job seems scary and risky. And if you do decide to, will it still be possible for you to settle and survive within a relatively short period of time? YES, it is possible, is the simple answer. The more complex and realistic answer, however, is that it's highly dependent the amount of self-propelling drive and energy you have, your ability to quickly learn German, as well as your self-confidence and necessary professional experience in your area of expertise to find a job, or to go-it-alone and become self-employed. If you’re a non-EU / EEA national, you will also need to support yourself financially, and will be asked to prove that at immigration when you enter Germany. So, let's have a look at the options available to you if you enter Germany without a job lined up. 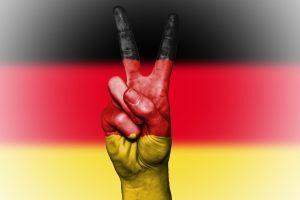 If you can’t speak German and you are moving to Germany without a job, an intensive language course is obviously going to expand your horizons of finding work. The overwhelming majority of job opportunities are in German (it's Germany, and the native language is German), so being able to speak the language fairly confidently is going to increase your chances of finding employment in your line of work. B2 level German would be considered a minimum to work in a company where the official business language is German, i.e. every company except those major multinationals which operate in an international environment. Entering Germany on a visa to learn German is similar to a student visa. This also allows you to legally work in a part-time job for up to 20 hours per week. Upon completing a language course, the student would be expected to return home to their country of origin. That is, unless they found a job which fulfills the criteria for obtaining a Blue Card during their language course studies. Otherwise, an individual can always apply to extend their stay through obtaining a job seeker visa. Non-EU / EEA nationals may enter Germany for up to 6 months on a job seeker visa. The main criteria which the applicant has to fulfil if they are moving to Germany without a job and want to utilise this opportunity are a) the ability to support oneself financially for the whole duration of their stay in Germany and b) being educated to degree level. Bear in mind that Germany has a relatively high cost of living by international standards. In a previous post, we covered some of the tips and advice for finding employment in Germany, as well as a more detailed look at this topic in our FREE e-book which you can download below. Of course, a more proactive approach would be to scope out potential employers, or even make some speculative job applications from your home country, before moving to Germany without a job, and also without any prospective leads. If you only have a 6 month window to find a job, hitting the ground running is going to put you one step ahead of your potential competitors and will hopefully ensure you have some initial leads to pursue during your first few weeks in Germany. 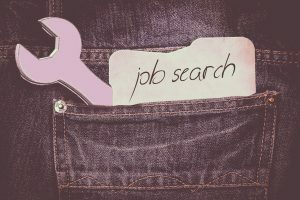 More detail on the job seeker visa can be found on the official Make It In Germany website from the German government. We will be covering some more specific details on freelancing in an upcoming post, so keep a look out! 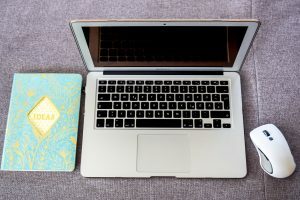 Freelancing is a great way to become self-sufficient and not have to suffer the despondency of receiving one after the other rejection letter because you’ve not yet mastered the German job application process, or because your German is not proficient enough to be seriously considered for non English-speaking positions. Depending on your niche or line of work, freelancing is often the quickest way to earn a living in a new country, and Germany is no exception. Some examples of popular freelance work in Germany include content writing, copy editing, social media marketing, business consulting, graphic design, photography, web development, virtual personal assistant and translation & interpreting. Nowadays, with the growth in remote work and virtual teams, the big draw of working as a freelancer is that it is relatively straightforward to find work outside your country of residence if you are an expert in a specific field. Clearly, this is not an option for everybody’s line of work but the opportunities are literally growing by the month, thanks in part to the technology which is available for bosses to manage their teams without needing them to be sat in the same office together. Freelancing in Germany is also a good option if you are young, single and less likely to require the safety net of the German social security system during your time living here, and especially if you see this as a temporary rather than a permanent move. Being self-employed means that you do not have to pay into the state pension or unemployment insurance system. Granted, this option may not be great for the more risk-averse amongst you. But it also allows that flexibility of not ploughing a significant percentage of your hard-earned income into something which you will most likely never utilise. 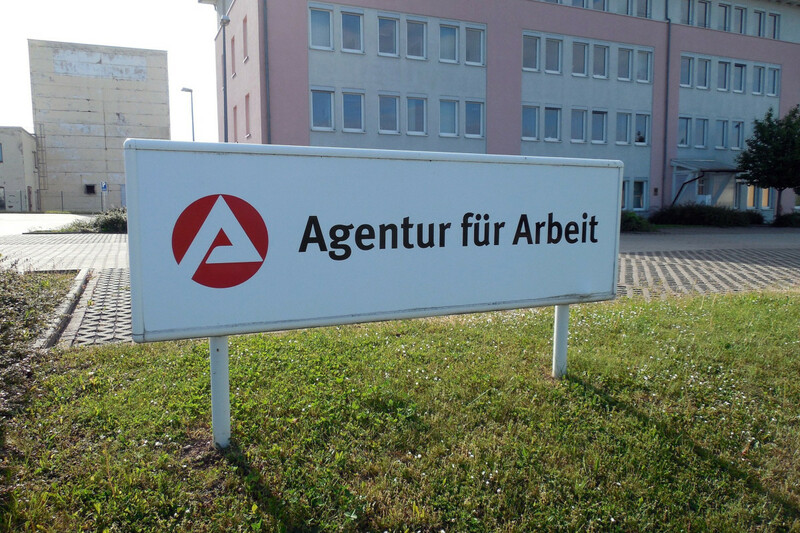 How many expats in Germany end up drawing unemployment benefit or, even less likely, a pension. Only those staying for the long haul would likely see the longer-term benefit of paying social security contributions. Similar to freelancing, this is another option of becoming self-sufficient without being at the mercy of the local jobs market and without necessarily needing to speak fluent German. Bear in mind though that you will most likely need to sell your product or service to the local market, unless you are creating a location independent online business. 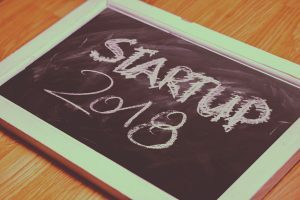 Perhaps the biggest, and definitely the most obvious, obstacle to starting a business as a newly arrived immigrant is that you will not have access to any capital or financing from traditional sources of lending. Banks and other credit institutions will not lend to anybody without a credit history in Germany. That’s not to say it isn’t possible. There are now so many options, such as peer-to-peer lending sites, or crowdfunding websites such as Kickstarter and Indiegogo. Not having access to capital from local banks is not the obstacle to starting a business it would have been just 10 years ago. To start a business in Germany, the first thing to consider is what type of legal form the company should take. For foreign nationals, the easiest way to start a business is as a sole trader (Einzelunternehmer). For this you will need a Gewerbeschein, obtainable from your local authority, which can cost anything from €10 to €60, depending on the city or municipality where you are registering. The office for this is usually called Gewerbeanmeldung or Gewerbemeldestelle. Google this plus the city and you will find it! The exception to this rule are the so-called free trades (Freie Berufe), where you are able to practice your profession or trade simply by registering as self-employed with your local Finanzamt. Some of these jobs include architect, doctor, consultant, writer, artist, designer, engineer. This is not an exhaustive list – more details can be found here. The reason for this differentiation is that the Freie Berufe are treated slightly differently for tax purposes. Starting a limited liabilty company is not as straightforward as it is in the UK or US, or indeed many economically less developed countries. It requires a whopping €25,000 of starting capital! No wonder that the World Bank ranked Germany lower than Uzbekistan, Rwanda and Colombia in the “ease of starting a business” category. German apprenticeships provide vocational training in a huge range of industries and job positions. The good news is that Germany is crying out for skilled tradespeople, and so the chances of you finding a position as an apprentice are pretty good. You will need to speak and understand enough German to not be a safety risk or a liability to your employer. Also bear in mind that apprenticeships typically involve 1 day a week classroom-based training at a vocational school, which obviously is also taught in German. So while an apprenticeship can be a great way to get onto the path of a recognised qualification and a stable job, it does have its drawbacks. Apprenticeships are aimed at school leavers and as such, the pace of training may be slow for somebody with more work experience. Typically, a German apprenticeship lasts for 3 years. On the flip side, the pay is pretty low and may not be enough to cover your rent and living expenses, especially if you live in a major city or a part of Germany with a higher than average cost of housing. Can I Claim Welfare While I Am Seeking Work? No. A new law was ratified by the Bundestag at the beginning of 2017, stating that foreigners from EU countries coming to Germany cannot claim unemployment benefit until they have resided here for 5 years. The law was changed to combat “welfare tourism” in Germany, whereby citizens from poorer EU countries would travel to Germany to take advantage of more generous unemployment benefits and use this to send money back home. Non-EU citizens have never been allowed to claim unemployment benefit if they have not already contributed to the German social security system. I was born in Germany in 1966 and married a us soldier and moved to USA 1986. My husband passed away in 2006 and now i’m thinking about moving back to Germany with my Fiancee, who is on the Megan’s Law registration, will this cause problems for us ? Also, i have no one in Germany that can write a Support letter or invitation for us and we have very little money. Can we still move to Germany ? I’m disabled since 2016 and can not work due to my disability, how do we go about moving to Germany ? Hi Christina, these are all very specialist questions and I am not an immigration lawyer. If you have German citizenship or permanent residency then yes, you should be eligible to move back yourself. But all of the other circumstances you mention would require consultation with somebody who is qualified to provide legal advice. Good day. I just read your blog post and I have some questions. Let me say something about myself first. I am a Filipino living in Tokyo and working as a software engineer. I have been looking for a job in Germany, preferably in the north but I’ve been unfortunate so far. While there are only a handful of companies in the north that offer jobs related to mine, I know I also need to study German. What do you think would be the best way for me to live and work there? I thought about what you posted here but I’m afraid that being able to sustain myself will be quite a challenge considering the cost of living in Germany and my current pay in Japan. If I start off by studying German, how difficult would it be to get a part time job if you’re just starting to learn German? Also, I’d like to stay with my girlfriend but I don’t know if they’ll even consider that. I wonder where I can get some advice regarding these things..
For software engineers it is possible to find work without knowledge of German because it is not a customer or client facing role, and software developers / engineers are highly sought after. Although that said, if you can speak B2 level German then it will vastly improve your chances of finding work when you are here. Stay with your girlfriend where? Who are you referring to when you ask if “they” will consider that? It depends what type of “help”. For a job it would be the Arbeitsamt for example. I’ve never claimed welfare in Germany though so I am not familiar with the whole process of accessing social security I’m afraid. Can i get a german language training for free to be able to work? Hi, I can’t answer this 100% because it is dependent on a number of factors and I am not an expert on the German welfare system. In general though, the welfare system is contributory. In other words, you need to have paid in to the system to benefit from it. If you are an EU citizen (you said you have a German passport) you will get basic support but this is essentially just enough to survive. You should be able to get support for learning German, yes, because the logic is that if you speak the language then it’s easier for you to find a job and pay taxes. I want to migrate in Germany In from the Philippines…I want to put up a small café bar business but I only have 5-10,000 Euro,…and I need a visa to enter in Germany the any suggestions?.. You will need to prove you have the financial means to support yourself and to get your business off the ground. With 5-10k EUR, I would not rate your chances of being granted a visa unless you have a stellar business plan. Living costs are high and business start-up costs are expensive in Germany…you would need around 1k EUR a month minimum just to live a basic existence (studio apartment, food, transport etc) even before the costs of setting up your business. Is it possible, and relatively painless, for a retired American (52 and have enough money to easily support myself and my wife) to retire to Germany? On the visa side, you should talk to an immigration lawyer (which I am most definitely not). In terms of finding housing, adaption & integration and being able to afford to live off a pension + savings earned in USD, you should be fine. Our post and downloadable guide on cost of living should help you here. Housing is relatively inexpensive outside of the major cities. Thank you for the helpful content! We are considering a short-term move to Germany from USA so our daughter can learn German as a second language and we can all experience a different culture on a deeper level. I’ve been reading through a few of your articles and they are really helpful. Off to download some of your e-books now. Thanks Deanna and good luck with your move. Let me know if I can help when you’re considering relocation! I’m wondering if can we stabilize and get (centrelink) or Government payment there. I’ve no idea what centrelink is but you definitely can’t just come to Germany and claim welfare, absolutely not. I’m peruvian, I’ve 44 years old, I’m System Engineer, I can find a job in Software in Germany. Yes, software engineers are in high demand. It would help if you can speak some German though! Thanks for the post and the detailed answers so far. I wonder what you would think of my position? I’m 25 year old male from England, have bachelors degree in Mechanical Engineering and around 3 years of experience as a mechanical / design engineer. My girlfriend is german and I’m looking at the possibility of moving to the Saarland region within the next few weeks to be with her. My German is very basic, below conversational. I would be willing to take temporary work whilst I improve my German initially. I have around 4000 euro savings and would probably drive my car over from England so would have transport. What are your thoughts, how big of a risk would I be taking? My 2 biggest tips: You would be much better off going to Frankfurt or Cologne instead of her hometown in the Saarland. Not many international companies or much of an expat network there. I would also study an hour a day to try and get to B1 level German before moving. There are English speaking jobs in major cities, there’s just a lot of competition for them so you need to stand out or think outside of the box to get ahead. Hope this helps as a quick answer? I left my current job and my blau card expires soon, in 1 month. I’m not sure if I can find another job in a short notice. I’m already well-established with a flat, so I’m not very interested in moving. What are my options for staying? Thanx in advance! I would suggest you visit the Ausländerbehörde as a first step and explain your situation. They will be able to explain what options you have in your specific situation. Thanks for this helpful information! I’m planning to get the job seeker visa, but in order to apply for it, I have to prove that I have health insurance accepted in Germany. Are there cheap health insurance options for people who plan to move to Germany and find a job within a couple of months? After those months, I will switch to the insurance of the company I work for. Hi Amanda, I believe you can use travel insurance for a jobseeker visa as long as it comprehensively covers you for all healthcare provision during your stay in Germany. The key is in the small print and terms & conditions of what is covered. Only when you’re here and have a job offer would you need to obtain German insurance. Thanks for the blog post! Lots of good info! So, my fiance is currently living in Germany, he has a resident permit (EU Blue Card). He is currently studying to improve his German to C1 level, and he is working part-time. He has a masters in Environmental Business from a university in Germany (courses were taught in English), and I will receive my master’s degree in a few months. I am a US citizen (he is not) and I’m looking to move to Germany as soon as I am done with my studies. If we get married, what would the process of getting a “spouse visa” for Germany entail? How difficult would it be for us to get this visa with his current situation? i’m a Ghanaian, living in France and my asylum requested has been refused and my girlfriend is a Germany citizen and she want me to relocate to Germany and join her, please can i move freely in Germany if she only registered me in her home address without me having a Germany resident permit? think i should have something to showed in case of police control when living there, or will the home registration be okay for me to move freely? because i also want to seek for a job contract to enable me apply for Germany resident working permit. or should we get married? Hi Jean, as a Ghanaian you would need a visa to legally enter Germany. I would suggest your best course of action would be to apply for this at the German embassy or consulate closest to where you are staying in France. This video should be able to help explain in a bit more detail what different options you have in terms of visas / residence permits. Hi my name is Lily and I am from Romania . I want to move to Germany as soon as I finish my high school . I am fluent in english and german but i have a question. Can i have a job in Germany without any studies above high school ? It is easy to find work? Hi Lily, as an EU citizen you can move to Germany and live here as part of EU freedom of movement rules. Finding a job without any formal qualifications may be difficult though. Germans like to see evidence of formal qualifications and training, whereas (for example) in the UK it is much easier to find a job if you’re prepared to work hard and learn on the job. hi dear james.please can you lead me about it that how to apply for german visa from pakistan for suitable job thank to you.. This video should give you an overview of the different options. Can you speak German? Do you have a university degree? If both answers are “no” then it will be very difficult. One “yes” = possible. Two “yes” = it should be more straightforward. Hi James, thanks so much for this information post. Are you familiar of cases of obtaining an EU Blue Card, working remotely for an American company? Hi Chiara, I’m not sure how this would work if it’s not a German company (or German division of a US company) employing you to work in Germany. I don’t think the EU Blue Card would necessarily be the right fit, although I am not an lawyer and as such cannot offer individual legal advice. I would recommend you speak to a professional to better understand the different options available. This is a question really for an immigration lawyer. The best advice I can give you would be to apply for an Ausbildung in Germany because they need young people to learn skilled trades. That way it would be easy for you to come to Germany and also stay if you are offered a job after you complete your training. I am Maechel Ceasar, currenly i am living in Jakarta but origin i came from Bali Island, i had been take College in Univeristy but unfortunetly i am must be stop in half way to seeking a job for daily payment, i have been move & work in Germany since i am was in High School, i can speak German, but unfortunetly my german not as good because i learn by myself, i learn from youtube, book & My friend, lucky me i have several friend origin from germany than i be able to practices with them in jakarta (they german work in Indonesia) but in Limited of times, I have money but very limited interms of amount. & for move & living in German i am realized that damn expensive, & very much circumstances i should facing on.. with those of barrier do you have any advice for me? It will be difficult Maechel – Germany wants to see evidence that you will not be dependent on their social system before they will issue you a jobseeker visa. Without the money to support you during your stay, they will not grant you a visa. thank you very much for your post. I’d like to know your opinion about my situation, if you can. I might get a (decently paid) phd position in Göttingen (at least 3 years), which I would really like. My girlfriend (we are both Canadians) would follow, but I am not sure it is possible. She has a bachelor’s degree in translation (English to French), but she doesn’t really speak German (at least not yet). She doesn’t really have the time to properly learn German so she could translate from it (I would start in September). She would possibly do some freelance translation or find some other job in English. From what I understand, she could get a language visa, but then she would only be able to work 20 hours a week, even if freelancing? Then she could get a job-seeker visa, and try for a translation job if she’s good enough in German? And then a work visa? How long can it go on visas like this? What do you think about it, would it be possible? Thanks! Hi Simon, the best thing for her to do would be to apply for a freelancer visa. That way she can teach or work for as many hours as she wishes. This article should explain better – if you would like to dig deeper then we can cover this on a 30 minute consulting session for sure. I appreciate you dedicate your time to answer all the questions in the comment section. Especially that you’re doing so after over a year since the article was released. Big thanks! So I’m also thinking about moving to Germany and here’s my situation: I’m from Poland and now live in Sweden and since my work contract ended in December I’m looking for a job. I’m thinking about moving to Frankfurt am Main, since I know, there is a lot of work opportunities there. I have around 7 years of experience working as a Data Center Technician/IT Infrastructure Specialist and Systems Administrator. I didn’t graduate though or have any industry certifications, so I only have my work record + experience I can show to prove my skills. When it comes to finance I have around 8000 EUR right now, it would be 11000 EUR if I count my revolving credit, and it would be around 14000 EUR if I sell my car (which I’m going to do if I move to a big city anyway). Also I need to pay mortgage for around 500 EUR/monthly for my polish apartment. So is it worth trying to move to Germany in my situation? How difficult it would be to find an apartment without having a job there? On the other hand, is it worth trying to find a job in Germany while living abroad? One more thing that complicates the accommodation issue for me is the fact that I have a cat which moves with me whenever I go. I am an Indian and I completed my masters degree in Germany. I want to visit India and return to Germany after 6 months in search of Job. Is that possible. Will it be a complicated process to apply for a visa again ? Kindly advise. My husband will be moving to the UAE for work. I do not want to move my kids there, but we live in the United States. We have been thinking about the kids and I moving to Germany to be closer. Would the kids and I be allowed to get a resident card without a job? I wouldn’t need a job at all as my husband is our sole source of income and I am a stay at home mom. I graduated with an MA in German 4 years ago (certified C1 fluent in German) and want to move back to Germany (lived there for one year on exchange) and get a job. I am driving a shuttle bus in the states currently and don’t want to lose my German language skills. Would it be possible to move there and stay and work at like a hostel while trying to find a job even? Do you think I could wing it without a job-seeker visa? Hi Stephen, I would suggest you enter as a tourist and apply for a freelancer visa in situ. Jobseeker visa will be difficult because you don’t have extensive work experience (as far as I can tell from your comment). I can definitely elaborate on this and advise you – please schedule a consulting session if you’d like to drill down into the detail. Cheers! My and my significant other are planning on moving to Germany. We are both studying German and are almost at B1 level. So my question is this. Neither of us have a college degree but both of us have hvac , electrical, plumbing experience. Would it be fairly easy to move to Germany and get an aprentancship? And if so so, how would we go about it? Hi Deanna, yes, there are many routes to finding an apprenticeship. The crux is whether it’s a trade for which there are worker shortages. Plumbing definitely is one of them. The others I would need to check. You could also get a temporary residence permit to improve your German before commencing (or applying for) an apprenticeship. B1 should be fine though for vocational trades which do not require a lot of direct customer interaction. I could probably cover this with your other half on a 30 minute call if you’re looking to drill down into the detail. I want to move to Germany and be with my boyfriend who is a german citizen. We want to get married but that would be at least a year away, so I won’t qualify for a family reunion residence visa – at least not in the short term. I have a house in the US that should provide me between $1000 and $1500 gross rental income per month. I have probably at least $20K savings that I could start out with in a bank account. I have a US job that would allow me to work remotely, however, from what I am reading, it doesn’t seem like the whole idea of working remotely is allowed…? Although I’m of retirement age technically, my retirement at this point would be low and goes up a lot every year for the next 7 years. I speak German at at a B2 level and work currently in IT although as a Business Analyst not an engineer. There are so many variables. Do you have any advice? Hi Leslie, my specialism is more relating to immigration for work & employment vs. family reunion / spouses. However, applying for a freelancer visa and working for your US company as a contractor seems like your best best if you can prove you have a solid pension provision. You would need to somehow get other clients though, otherwise you’re an employee in all but name. Finding a health insurance provider becomes trickier the older you get, but by no means impossible if you don’t have any chronic pre-existing conditions.